you may be wondering about this Twitter Trend today. #Mauerfall - what is this? And why does it sound so different? "Mauerfall" is a german word, which means: the falling of the wall - in this case the berlin wall, which you may have heard about in history lessons before. And if not you will probably be thankful for getting this letter. Only 30 years ago, the most things in germany were different. Apparently there were no real germany. The whole country was split into two sides, the western "BRD" and the eastern "DDR", as well as the german capital city Berlin. The western side was occupied by the "West" (US, GB, France and so on), the eastern side belonged to the "Sowjetunion", which was basically a bigger version of Russia. Between this both sides, or I'd better say: between the "West" and the "East", was the cold war, which you definitely should have heard about before. And in the middle of this war were the germans, separated by the governments. If you are interested into the whole story, there are many great posts about it on the internet. 25 years ago everything startet to change. The berlin wall was torn and the germans reunited. We were finally allowed to be the one country we've always been in our hearts. Till today there are lots of prejudices against the "other germans", for example, that the western people are greedy and the eastern people stuck in time and don't know, what telephones are, but non of them is true. Getting back together is a long process after being seperated for almost 40 years. What I wanna say: We have to be thankful, that there is peace and freedom nowadays. That we have Europe as well as the EU and that there is not such a thing like the cold war anymore. I bet, none of the things I wrote you, made any sense, but it's important to me. We always have to be thankful for peace. P.S. : I added some pictures to this letter, to give you a feeling of the "Mauerfall" and the situation before it. 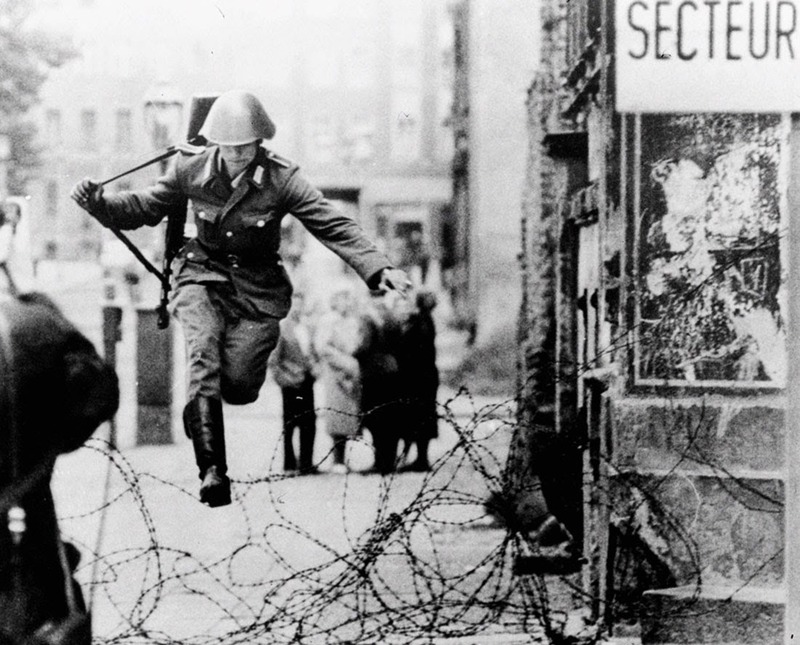 A soldier, running away at the point, when the Berlin wall was just some wire. 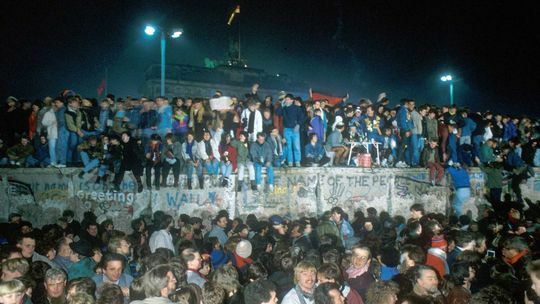 The "Mauerfall" - germans from both sides climbing up the wall to break it down. 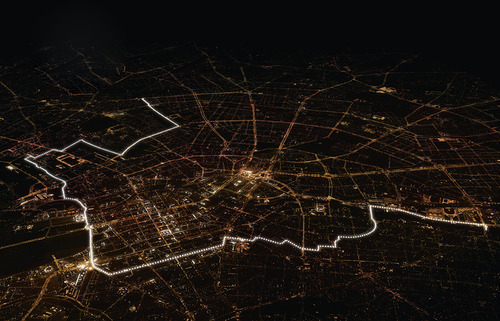 To the 25-years-anniversary the "rearranged" the berlin wall with white glowing balloons.